Our conversation at that time was about Michael and Bonnie’s most improbable journey of entrepreneurship, with humble beginnings of running a business out of a laundry room in Sonoma County. Without a lot of capital whatsoever, Michael and Bonnie became the brand of Barefoot Wines – a brand they would ultimately sell in 2005. 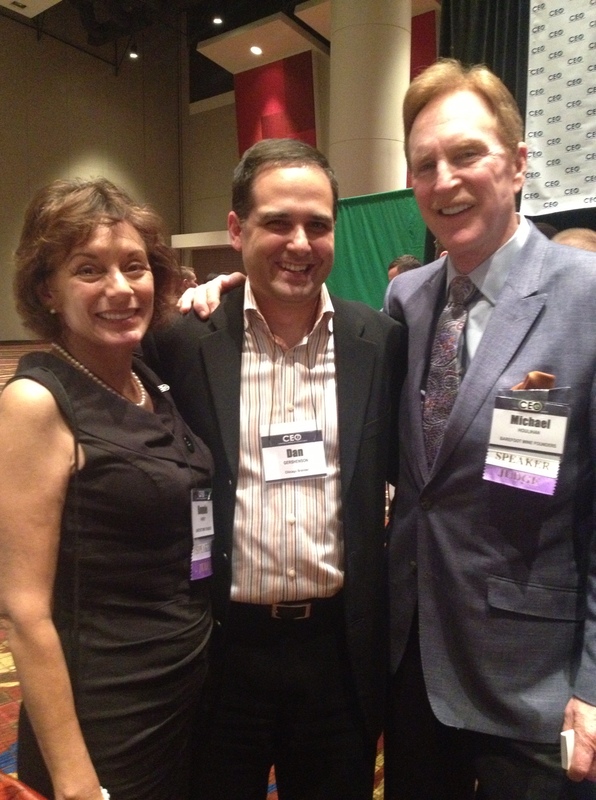 These days, Michael and Bonnie are enjoying sharing their experiences via speaking engagements to entrepreneurs across the country, so I caught up with them as they came through Chicago to do just that at an event at McCormick Place. DAN: Michael and Bonnie, when we spoke the first time, we retold the inspiring story of success you enjoyed as founders of Barefoot Wines, bootstrapping the company. I think what would now be fascinating for many to know is the story after the story – what happens once you move on from the company you launched and how do you continue to inspire others while finding your own excitement? What does that next chapter look and feel like? MICHAEL: Certainly imparting what we’ve learned – good and bad – in our time as entrepreneurs has provided its own kind of excitement for Bonnie and I. Some of the ways we’ve done that is through our book authorship and speaking to aspiring business owners as early in their process as we can. For “The Barefoot Spirit,” we published the book 1 day after our 30th anniversary and we were thrilled to find it would reach #2 on the list of New York Times bestselling paperbacks in the Business category. 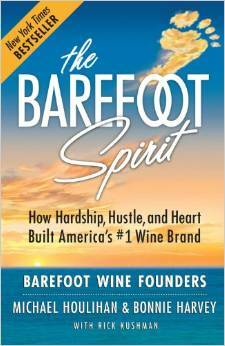 We spent a lot of time pre-selling the book with free downloads and approaching the distributors of Barefoot Wines to help promote the brand story. Our goal is to make the book required reading at colleges and universities that teach entrepreneurship. Some schools were teaching entrepreneurialism in the 1970’s but actual Schools of Entrepreneurship are still a relatively recent thing. At this point, we’re proud to say 12 universities have made “The Barefoot Spirit” required reading and we hope all of them will add it to the course list. DAN: Are there other categories of entrepreneurs than typical young professionals you’ve been speaking to? BONNIE: Absolutely. 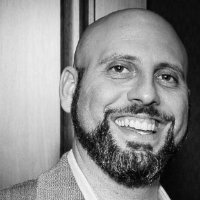 We’ve been speaking to the Entrepreneurial Bootcamp for Veterans with Disabilities (EBV), which is a year-long study, the first month of which is spent online preparing vets to go into business on their own, followed by intensive study at the University level, followed by a year of online study with mentors and professors. And some of these vets have already started their own businesses. When you have a book that includes ‘hardship, hustle and heart’ in the title, it’s very interesting to talk to a vet because they know all about hardship, they know about hustle through their prior experiences and they’ve all got big hearts. So they’re very receptive to what we have to say. DAN: What would you say the both of you offer in speaking that isn’t frequently taught in school? MICHAEL: Entrepreneurship in school is kind of like automotive engineering in that it teaches you how the car operates. You learn that you’ve got to have a business plan, be able to write a loan application, know how to hire and fire, be familiar with compliance laws, understand all the licensing you have to obtain, etc. These are the technical aspects. What we offer is the navigation of actually getting the car from here to there – and in the worst of conditions when you face them. What obstacles need to be overcome? The minute you open your doors for business, it’s not the business plan anymore. It’s the cash flow plan and all about paying your bills. BONNIE: We came to realize we had seven sales we had to make in order to get our product to market – and for each of those people along the line, we had to figure out what they wanted most so we could get the product on the shelf to be seen by the end consumer. As we’ve been talking to students about this area of distribution management, it seems to be an area that isn’t well addressed at the university level. We thought if we had an award-winning wine at a low price that featured a cute label you could remember, it would fly off the shelf. At first, it didn’t. What we had to learn was the entire distribution network and the series of sales that had to be made. That was a huge lesson for us and a big lesson for any student today. DAN: What are the biggest fears that students express to you? BONNIE: They’re afraid that they don’t have enough money to start the business and they’re afraid that they don’t have enough knowledge and experience in that industry. But I can tell you when we were starting our business, Barefoot would not be here today if Michael or I had either one of those things. If we had money to throw at the problem, that’s exactly what we would have done. And you know what? We would’ve run out of money and still had a problem. We had no paid advertising because we couldn’t afford it, which led us to discover “worthy cause” advertising that led us to support non-profits in our community. The membership of these non-profits understood that we were caring about their concerns, so when they had an option to buy a bottle of wine, they knew ours was the one that supported their fundraisers – and they supported us. It was a great way to get our message out to the greatest number of people in the shortest period of time. If we’d had experience in the industry, we’d have done things exactly the way they had been done before in the business and there probably wouldn’t have been any great change in the wine industry for a number of years. For example, when we understood the majority of wine buyers in our area were women, we realized that the quality many of our female buyers wanted was consistency in taste from year to year. Well, when you’re a vintage wine, different vintages taste different. So one of the things we did outside of the norm of the industry was to be a non-vintage wine. Our busy female buyer making all the purchase decisions for her household at the grocery store wouldn’t have to worry about that lack of taste consistency. Our wine gave her that ability. In addition, while the wine business was generally a bit stuffy and the labels featured fancy French-sounding names, we decided that it should be more fun, with a product that was easy to recognize and easy to pronounce. So our Cabernet Sauvignon was called “Barefoot Cab” and our Zinfandel was called “Barefoot Zin.” I hadn’t been a wine drinker and the whole business to me had been intimidating. What we were creating was a brand that was more approachable, something that, frankly, hadn’t been properly addressed in our industry. In part 2 of our conversation, I speak to Michael and Bonnie on how they advise entrepreneurs to brush up on their “pitch,” why it’s important to think about selling your business on Day 1 and their views on social media in brand building. Stay tuned for that in our next post.